Places to See | Co. Fermanagh, Northern Ireland. Tully Castle is a fortified house on the southern shore of Lower Lough Erne. 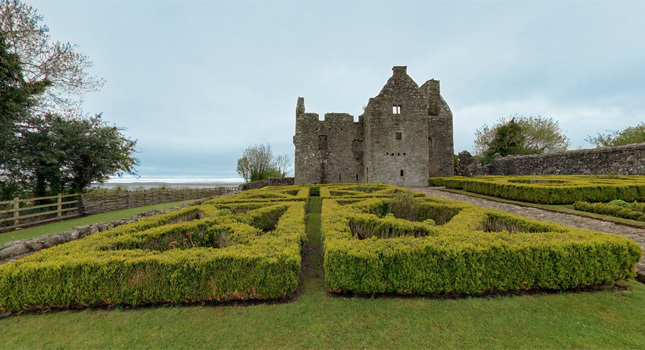 It was built for Sir John Hume, a Scottish planter, in 1619. 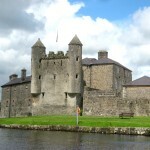 The ‘bawn’ had four rectangular corner towers. Fermanagh’s Gaelic landowners fiercely opposed Queen Elizabeth’s attempts to rule Ireland in the late 16th Century. Therefore the English and Scots settlers, finding themselves amongst a hostile native population, built defensive castle-type dwellings. 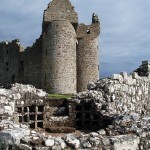 The mixed Scots-English settlers brought with them their varied origins of building techniques, the castles of Scotland and the Renaissance Houses of England. This means the Plantation Houses of Ulster had a unique blend of contributions. 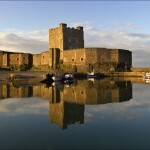 The castle is an important historical site in Northern Ireland, and its splendour today belies it’s violent past. During the Irish Rebellion of 1641, when Gaelic Chiefs rose against the English and Scottish Settlers, Rory Maguire set out to recapture his family’s lands. 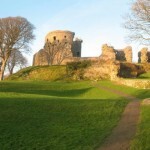 He arrived at Tully Castle with a large following on Christmas Eve, and found the castle full of women and children. Most of the men were away. Lady Mary Hume surrendered the Castle, believing that she had assured a safe conduct for all in her care, but on Christmas Day the Maguires killed 60 women and children and 15 men, sparing only the Humes. The castle was burnt and the Humes never went back. 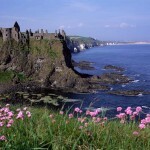 Nowadays, this Northern Ireland castle is a popular place to visit during European Heritage Open Days. There is a recreated 17th Century style garden for visitors to enjoy. A visitor’s centre located in a restored farmhouse houses an exhibition telling local stories relating to the castle.